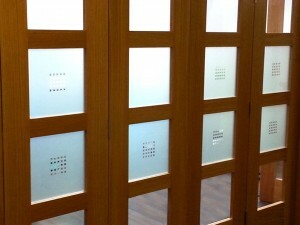 Have you seen our doors…? 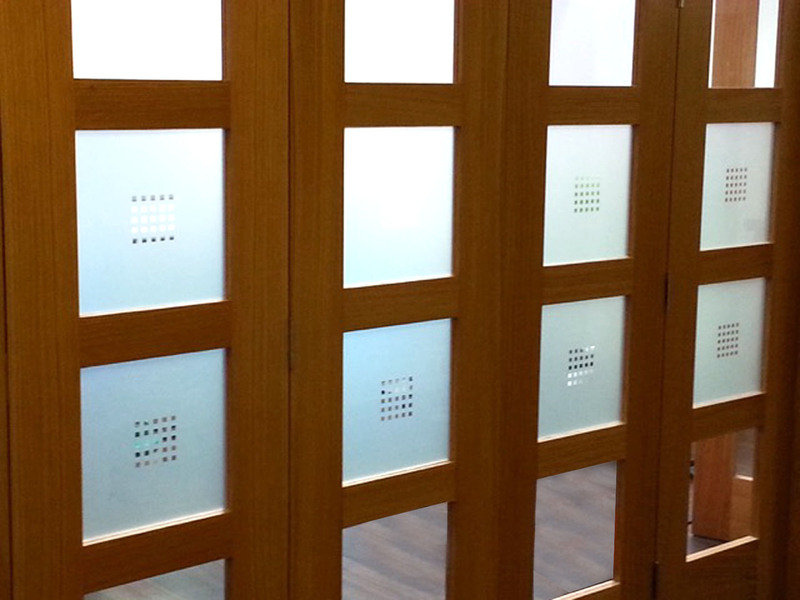 We can do all sorts of doors – great for privacy or manifestation issues. Centre installed bi-fold doors enabling the room to become part of the large open-plan space when large groups are visiting. However it quickly became apparent that the clear door panels meant the room was no use for private interviews and meetings. So we installed a custom design film that inhibited the view through the central panels – providing privacy, whilst retaining a light and smart appearance. Diana Dors. Now there’a proper Film Star.